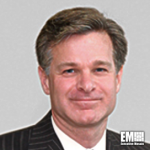 FBI Director Christopher Wray has said a group of Chinese state-sponsored threat actors compromised the computers of U.S. government agencies, firms and other organizations worldwide to steal large volumes of confidential business data and intellectual property. Wray made the remarks during a recent press conference announcing the indictment of two members of the APT 10 cyber hacking group – Zhu Hua and Zhang Shilong – linked to the Chinese state security ministry. 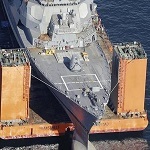 He mentioned APT 10’s involvement in the theft of personally identifiable data from over 100K service personnel of the U.S. Navy and cyber attacks against health care, agriculture, oil and gas and biotechnology firms. Wray also cited the bureau’s collaboration with colleagues at the departments of Justice, Homeland Security and Defense as well as the Naval Criminal Investigative Service to conduct an investigation into the group. Secretary of State Mike Pompeo and DHS Secretary Kirstjen Nielsen have called on China to stick to its 2015 commitment to refrain from carrying out cyber-based IP theft that threatens the national security and economic competitiveness of other countries. “We will continue to hold malicious actors accountable for their behavior, and today the United States is taking several actions to demonstrate our resolve,” Pompeo and Nielsen said in a joint statement released Thursday.